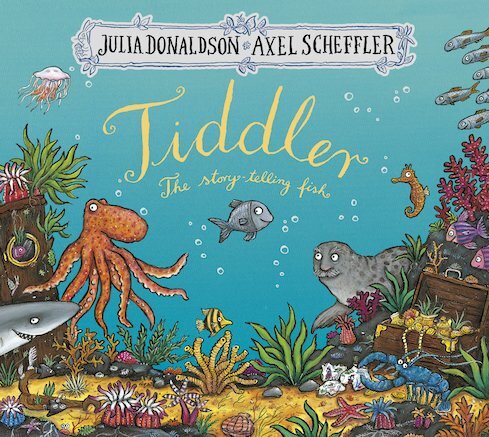 Tiddler’s a little fish who likes to tell rather tall tales. A bit cheeky, but don’t you love to listen? Let Julia and Axel’s teeny-tiny hero sweep you away on a magical ocean adventure. Tiddler’s just a little fish, but he has a very BIG imagination. Every day, he’s late for school. And every day he tells his teacher another tall tale. But did Tiddler really ride a seahorse? Did he truly meet a mermaid? What tale will Tiddler tell next? Thirty copies of this classic children’s book to accompany Read & Respond: Tiddler. classic book,fun book! we will publish it in Chinese soon!